Filming for Season 3 has started four weeks ago. 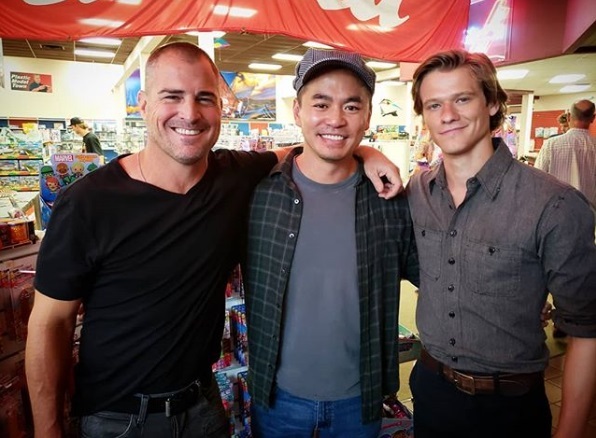 We have lots of BtS photos, BtS videos and news about Original MacGyver on BluRay! The main cast started filming on Monday, July 9. Justin Hires is already excited for the Premiere, reminding us that the “countdown” continues. Interestingly, the cast and crew mostly post Instagram Short stories now instead of photos, meaning that it’s very easy to miss some of the news. The Season 3 Premiere Episode is being edited at the moment. 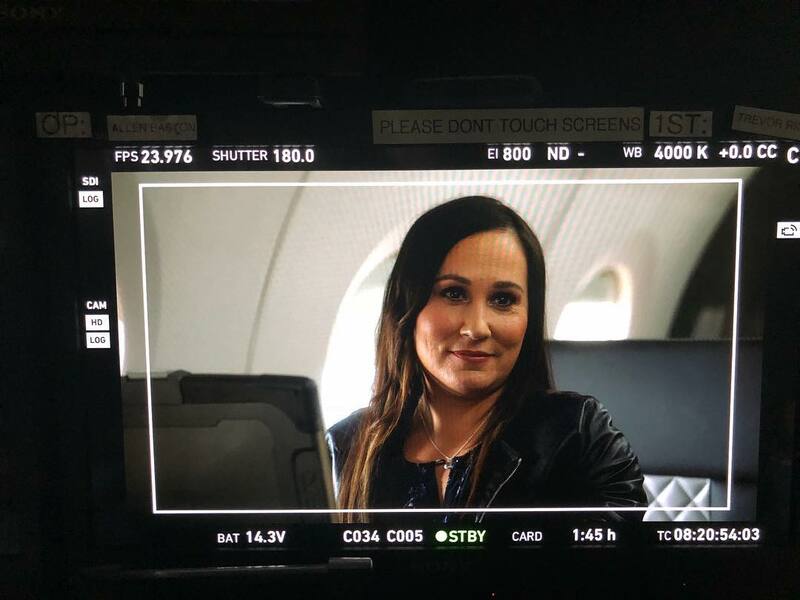 Executive Producer Peter Lenkov posted the first teaser on August 4; revealing MacGyver’s new love interest (and confirming my suspicions who it will be). Sadly, he later deleted the post. It’s not clear if he suddenly felt it was too spoilery or if there had been some derogatory comments. Mostly, people were surprised about Mac sporting a full beard. 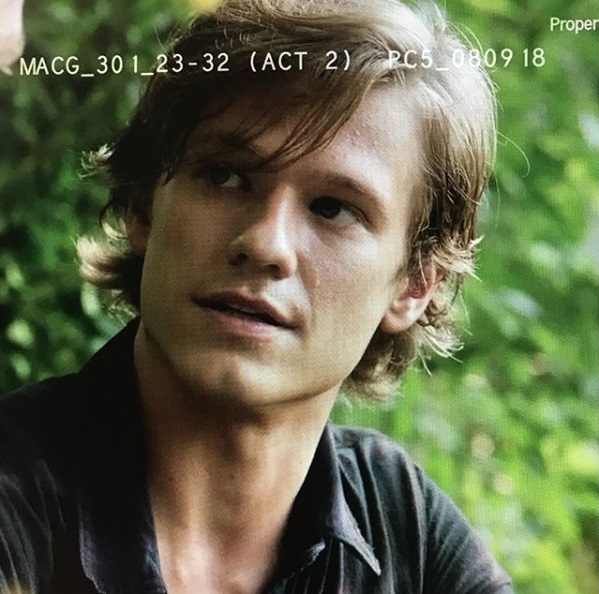 Due to Lucas Till’s birthday today, Lenkov posted another photo of this episode; a screenshot fresh out of the editing room. Costume Designer Sarah Downer posted a few photos and a video to show how they made the Nigerian village background actors’ costumes look authentic. It might be a while until we see some Official Stills, though. Last year, the Stills for Episode 2×01 (DIY or DIE) were revealed on August 31, along with the Press Release. The first Teaser Trailer aired on September 8. Based on the BtS photos and spoilers we’ve seen so far, I put together a short overview how the storyline of this episode might go in my opinion – before we get the first Press Release that will give us more information and “ruin” some of the fun of guessing the plot. You can check it out on Tumblr or in the MacGyverOnline Forums. In total, filming for Episode 3×02 (Bravo Lead + Loyalty + Friendship) took about 9 days on various sets. Last week, they finished the episode on outside locations; doing stunt scenes involving gun shots, explosions and hostages. It looks like we will see Jack undercover and meeting up with his former Delta Force Team. 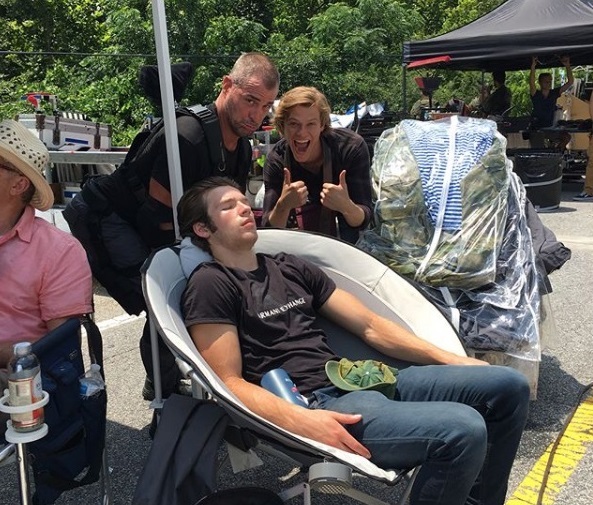 Lucas’ brother Nick was on set for this episode as well, and of course George and big brother Lucas found time to make fun of him falling asleep during a particularly hot day. 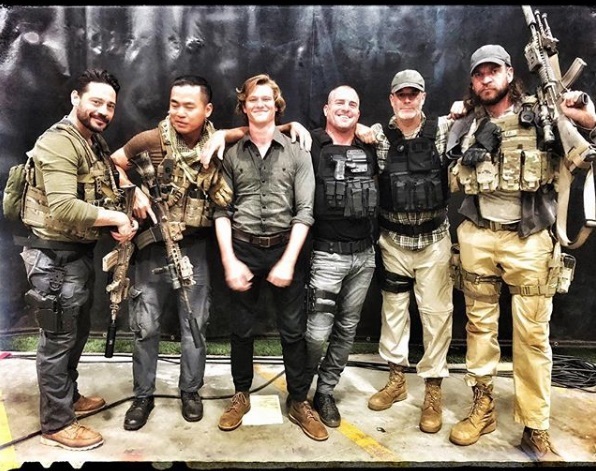 Both George Eads and Matt Skollar posted some more BtS photos of the same scene that Executive Producer Peter Lenkov had uploaded a video of a few days earlier. They also filmed scenes on a set either dressed up as a toy store. Meredith Eaton shared a nice BtS photo of Matty in the Phoenix Jet. On July 31, cast and crew started working on Episode 3×03, directed by Tessa Blake. As Justin Hires revealed, the title is “Bozer + Booze + Back to School”, written by Nancy Kiu. 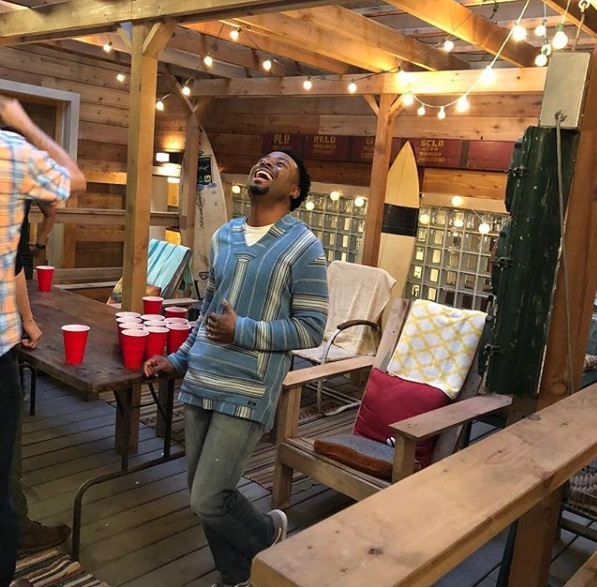 According to BtS photos and Justin’s Instagram Live Stories, Team Phoenix goes undercover at a College, gets into trouble with Campus Security and plays some Beer Pong in preparation. Also, Lance Gross as Billy Colton is part of this episode. 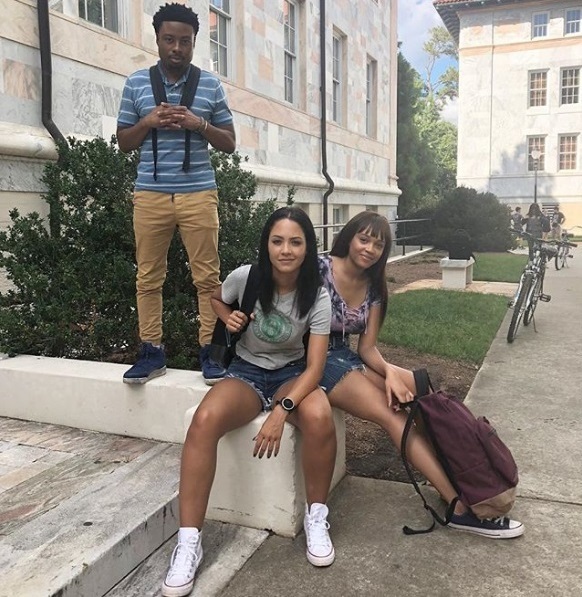 Cast and crew have been filming at Emory University on August 3rd. Some students (e.g. Christy Mayfield), but also some of the extras (e.g. 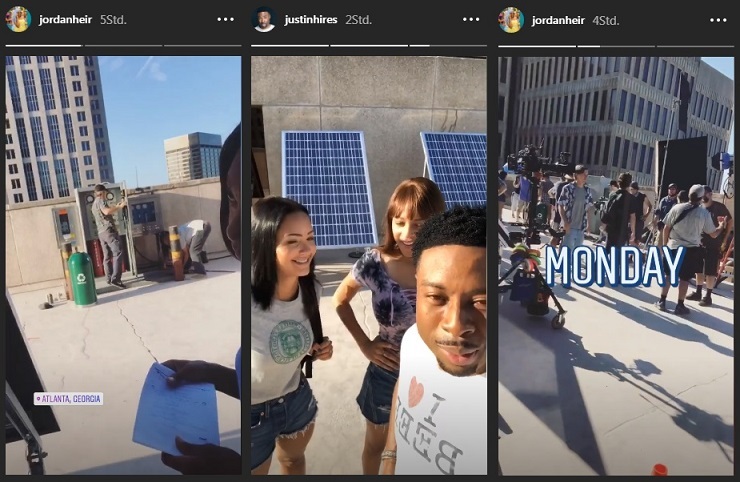 Jamal Moore who already worked on Episode 2×06) posted photos or Instagram Live Stories. Justin Hires provided several group photos of Team Phoenix on Campus or videos; e.g. of the three “Lucases” they had on set that day. They also filmed a night scene on the same date with George Eads doing some running though narrow streets. Meanwhile, the Costume Designers teased the fans with Instagram Short Stories of what looks like them creating a body cast. We’ll see if this is part of some kind of College prank or something more serious. On Monday, they filmed a scene on a roof; Wednesday was another night shoot with scenes of a Frat Party (DJ and Beer included) at Madea House. Yesterday, Justin Hires revealed that they were finishing the episode that day, meaning it took 8 days to film the third episode of this season. After battling wind and heavy rain in the morning, they set up at a mansion with an indoor pool – only to get delayed in the afternoon again due to heavy rain and lightning. While waiting for another night shoot, Justin Hires did a Live Video on Instagram, later inviting Lucas to join in. They talked about the upcoming season; giving up some interesting details. As we already know, Lance Gross as Billy Colton aka Riley’s boyfriend will appear in Episode 3×03. So far, neither Tate Donovan nor any other characters of the Colton family have been seen on set. Central Casting Georgia has been looking for Stand-Ins for Ilia Volok and Donald Watkins. As always, Central Casting Georgia has been looking for Extras as well; e.g. for a male Security Guard, for Office Workers, for a DJ (with his own equipment), College Students with bikes, skates or a scooter, College Dorm Girls, College Party Students and for “College Bros”. They’ve also had Casting Calls for a Hospital Scene with Doctors, Nurses, Grandparents, Moms, Dads and Kids plus the obligatory Casting Calls for Techs, Agents, Stand-Ins and Photo Doubles. According to The Futon Critic, CBS has dropped one of the initially 2 scheduled reruns in September. As of today, there’s only one rerun left on September 21, a week before the Season 3 Premiere. There’s still no further information about what episode they will air, so I’m assuming it will be the Season 2 Finale. Furthermore, Season 2 just had its premiere in Japan on August 8. 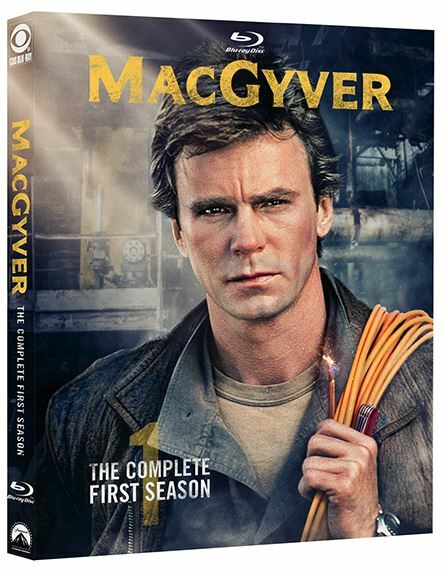 We got notice on Monday that Original MacGyver Season 1 will actually be released on BluRay on October 30. Sadly, they changed the logo font; matching it with the DVD Complete Collection Box. There isn’t any news yet if this BluRay will also have any Extras or Special Features. After the Season 2 premiere in Germany with rather disappointing ratings, the ratings improved and are pretty steady now. Some episodes actually did better than their counterparts of Season 1 a year ago. Also, the second episode on 9.15pm does better than the one on 8.15pm. To recap: Episode 2×05 (Skull + Electromagnet) reached 1.65 million live-viewers in total (all viewers older than 3 years) with a demo-rating of 8.9 while Episode 2×06 (Jet Engine + Pickup Truck) snagged 1.83 milllion live-viewers in (with the same demo). Episode 2×07 (Duct Tape + Jack) had an audience of 1.66 million live-viewers with a demo of 9.8. Instead of a second Season-2-Episode, they aired an episode out of Season 1 they had initially skipped over last year. Episode 1×19 (Compass) garnered a bit of a lower demo (7.5), but more viewers (1.75 million) in total. Episode 2×08 (Packing Peanuts + Fire) reached 1.58 million live viewers (with a demo of 8.4), followed by Episode 2×09 (CD-Rom + Hoagie Foil) having a live-audience of 1.72 million viewers in total and a demo of 9.5. So far, Episode 2×09 had the highest number of live-viewers (760’000) in the demo-group of 14-49-year-olds. In other news, German Channel RTL Nitro will start airing Original MacGyver again, starting tomorrow with the Pilot Episode and Episode 1×02.